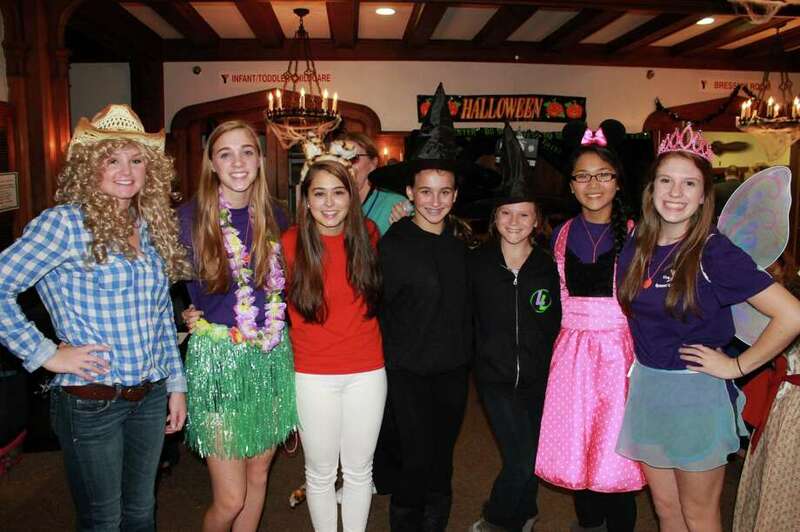 The annual Halloween Spooktacular will take place Oct. 25 at the Westport Weston Family Y. Here's some of the fun from last year's event. With "family" an integral part of its name, the Westport Weston Family Y plans a slate of activities that families can enjoy together during its Family Week from Oct. 21-25. Highlighting the Y's Family Week will be the annual Halloween Spooktacular on Oct. 25, from 6 to 7:30 p.m. Youngsters 10 years old and younger, are invited to participate in a costume contest, explore a haunted hallway, bob for apples, visit a witches' cottage and more. Family-friendly activities, including Halloween crafts and fun and games, round out the evening of fun. The Halloween Spooktacular takes place in the Y's Bedford Building and is open to all. The the fee is $5 per person; $15/family fee (family of four). Register at the Y's member services desk. Monday: Family Craft -- Participants will make animals of all kinds and dinosaurs, from 3-4:30 p.m. in the pool lobby. Tuesday: Family Concert -- "Kid-friendly" concert in the Bedford lobby, from 9:30-10:30 a.m.
Wednesday: Movie Night -- Screening of "Toy Story" at 6 p.m. in the board room. Popcorn and punch provided. Thursday: Family Kickball -- Games played in the Y's upper gym, from 7-8 p.m.
Friday: Halloween Spooktacular -- Costume party for children up to 10 years old, from 6-7:30 p.m.
And, Y officials said, every Sunday is Family Day at the Y, with a regular schedule of programs designed to particularly appeal to families.